Dr. Marians welcoming GSK students and undergraduates to the Frontiers of Science program in 2011. 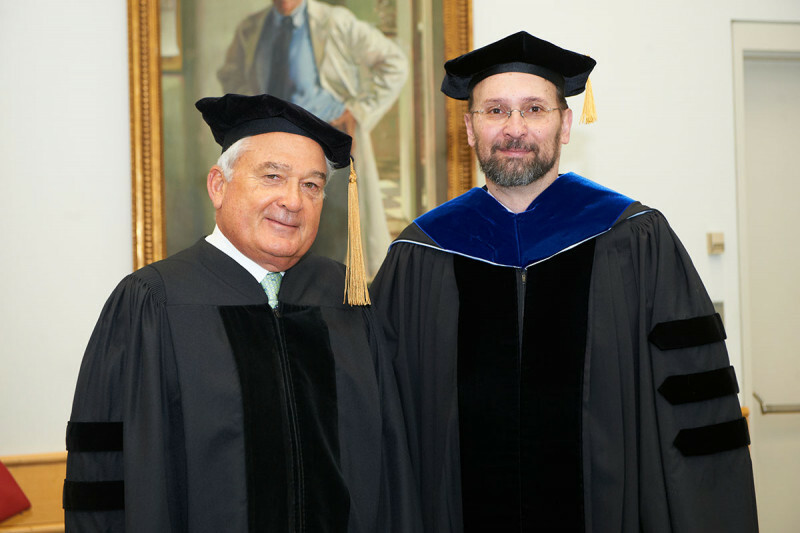 Dr. Marians with Louis V. Gerstner, Jr., GSK's Chairman, at the first commencement ceremony in 2012. 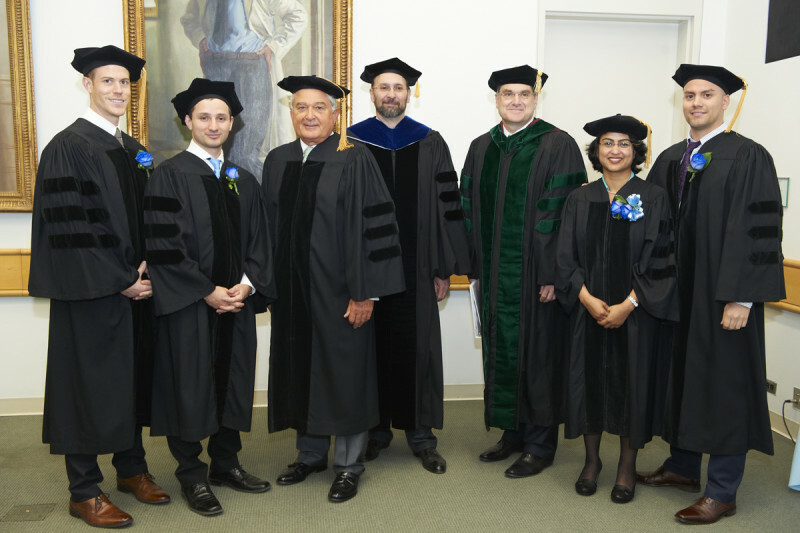 Dr. Marians, Mr. Gerstner, and Craig Thompson with GSK's first four graduates (from left): James Dowdle, Dimiter Tassev, Semanti Mukhurjee, and Eric Alonzo. GSK alumnus John Maciejowkski (left) talks with Dr. Marians and Chief of MSK’s Thoracic Oncology Service, Charles Rudin. Dr. Maciejowski gave an oral presentation of his current research during the fourth biennial GSK retreat in 2016. 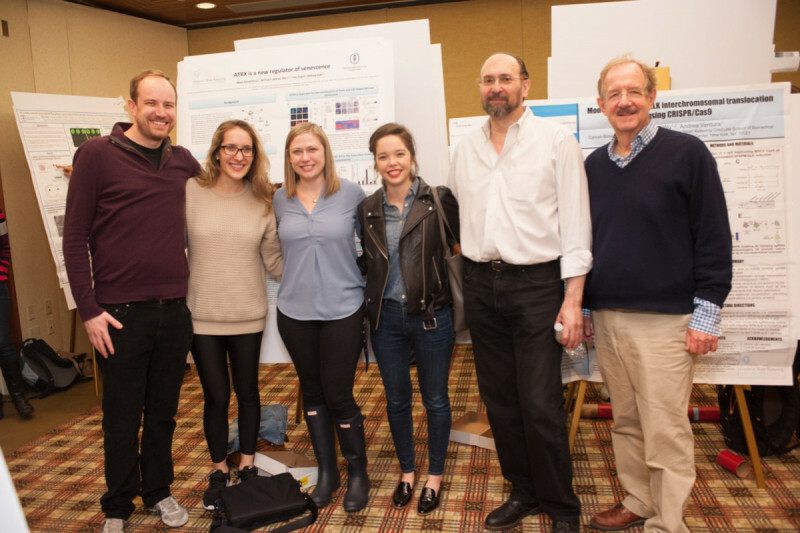 GSK alumnus Nick Gauthier, GSK student Marta Kovachetva, alumni Karen Hunter Cohn and Shannon Yu with Dr. Marians and then-GSK Provost Thomas Kelly at the fourth biennial retreat poster session in 2016. Ken Marians discusses the past, present, and future of the Gerstner Sloan Kettering Graduate School of Biomedical Sciences. In October, molecular biologist Kenneth Marians announced his plan to step down as Dean of the Gerstner Sloan Kettering Graduate School of Biomedical Sciences (GSK) at the end of 2018. His successor, cell biologist Michael Overholtzer, will start January 1, 2019. As this milestone approaches, it’s a fitting time to reflect on what Dr. Marians has contributed to GSK during his tenure. Dr. Marians was the founding dean of GSK and in many ways the driving force behind the school’s creation. He oversaw the application process for GSK’s charter in 2004, as well as its initial accreditation and the charter’s renewal, in 2008 and 2015, respectively. He has advised 13 classes of students, close to 60 graduates. We spoke with Dr. Marians about his legacy as dean, what he is most proud of having accomplished, and what he will miss most about the job. How did the idea for GSK come about and what was your role in its founding? It was when Harold Varmus became MSK’s president in 2000 that the idea really took form. He felt that it was important for MSK to have its own identity as a training institution. Harold appointed Tom Kelly as director of the Sloan Kettering Institute [SKI] in 2002, and Tom asked me to be director of graduate studies. We discussed what a separate Sloan Kettering graduate school might look like. In the spring of 2003, Tom asked me to prepare a white paper [an authoritative report] on this topic. That was also the time when MSK was gearing up to expand its research capacity. The new Zuckerman Research Center was being built. The estimate at the time was that the faculty would increase by 50%, and there were concerns about being able to maintain a suitable student-to-faculty ratio. So a certain set of forces came together. I presented the white paper to Harold at a meeting in June 2003, and he gave us the green light. Where did the idea for GSK’s unique curriculum come about? GSK students learn from exposure to real-life medical challenges and the mentorship of leading scientists who are changing the face of biomedical research. I assembled a group of a dozen or so faculty to talk about the curriculum. Early on it became clear that if we really wanted to do something different and special, we had to take advantage of what was unique to SKI, rather than duplicate what was going on at neighboring institutions. The idea of driving the learning through the lens of human disease, namely cancer, took shape from those conversations. Giving the program a clinical tilt would allow us to tap into in the expertise of colleagues in the hospital and get them involved in teaching. Students would be able to integrate basic science with the clinical picture so that they would have a broader view. 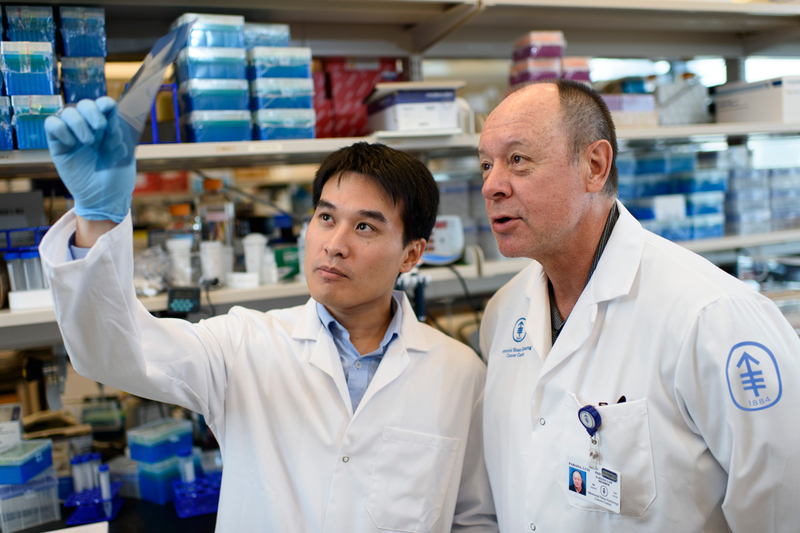 They would be encouraged to think about how what they do in the lab could ultimately benefit patients. But the clinical element was never the focus. I think the thing that makes GSK great is that it is focused on fundamentals in basic science. What do you see as the role of GSK’s dean? I went to a very large graduate school, Cornell University in Ithaca. The only time I interacted with the dean’s office was when I handed in my dissertation. My idea for GSK was that it would be much smaller and much more interactive. We have about ten students each year. There’s much more of a direct role for the dean in responding to student concerns. It can be hard to be a graduate student. There’s a lot of material that you need to master in a short time. It can be pretty stressful. My concept of the school in the beginning was that it would provide a supportive environment to students. I think we’ve done pretty well at achieving that. I spend a fair amount of time with the first- and second-year students. I meet with them, talk about what they want to talk about, get them through the benchmarks that are required over the first two years, and more. One of the goals of the program is to get people out in less time than the national average. Right now the average time to finish a degree in the biological sciences is about seven years, according to the National Science Foundation. Shortening that time was one of the reasons we designed the curriculum the way we did — to frontload all of the didactic coursework in the first year. This makes it a very intense and challenging first year. That was another reason we wanted to provide as supportive an environment as we could. I think one of the things that helps in this regard is that we’re not a byzantine organization. The students have easy access to us. If they have complaints about something in the curriculum, and we think their concerns are legitimate, we’ll change it. We listen to students. We get a lot of feedback from them. We pay attention. And I really enjoy having contact with students. I can tell you that I would have dropped this a long time ago if I didn’t have regular interaction with students. That is the real fun part of the job. What is your most memorable experience as dean? I’d have to say the first commencement was probably the most memorable. There was the sense that we had finally arrived. Six students marched that year. Harold wore a robe. That was a real watermark. And now we also have a fair number of alumni in the New York City area. A lot of them come back and it’s fun to see them. Two years ago at our annual retreat, for the tenth class, we brought back as many alumni as could come. For me, it’s all about the students and their success. What has been your favorite course to teach? 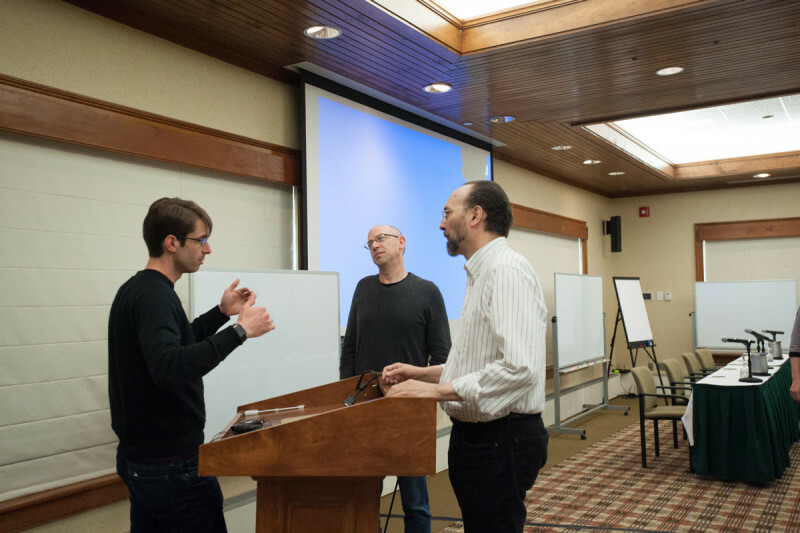 With two colleagues, I run a course right at the start of the program every August. It’s called Logical and Critical Analysis. The students come in and they’ve all read scientific papers and think they know how to interpret them. The purpose of this course is to dismantle any bad ideas or approaches they may have and show them how to do it properly. We try to convince students that if they really want to make it in science, they’ve got to be able to analyze a paper critically. That means not just reading the abstract and the discussion, but analyzing the methods and asking whether the data support the conclusions. The hardest data to analyze critically is your own data, of course, and we try to prepare them for that. If you talk to our alumni, I think a lot of them will tell you that this course was one of the best parts of the curriculum. 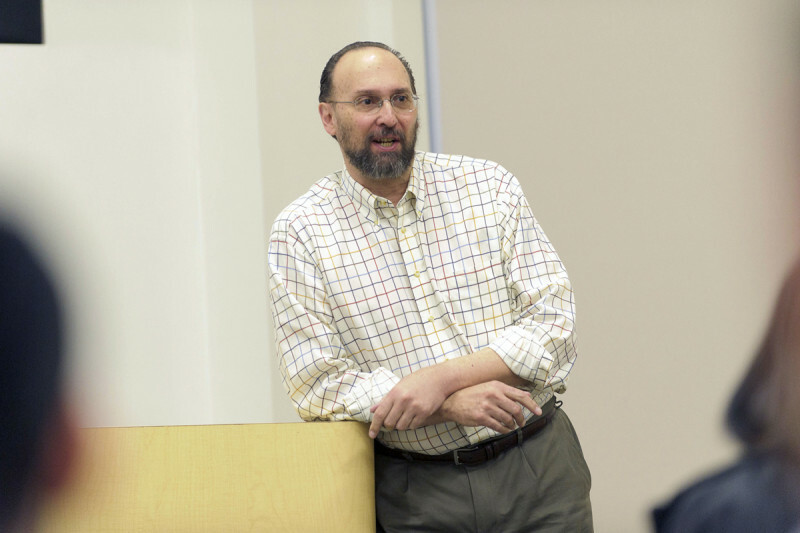 What do you think about the choice of Michael Overholtzer to succeed you as dean? I was one of the people who proposed him, so of course I think he’s a great choice. Mike has already held important leadership roles here and in Weill Cornell [Graduate School of Medical Sciences]. He’s very interactive and collaborative. I think he’ll be terrific. Do you have any words of advice for him? Yes, “Don’t ask me.” In all seriousness, he will have a lot of help. Linda Burnley, the Associate Dean, is an invaluable asset. There are very few education professionals who have Linda’s experience. She spent 28 years running the MD/PhD program at Harvard and she’s now been at GSK for seven years. That’s a really unique and invaluable skill set. Mike will have all the help he needs with Linda and the other terrific members of the GSK office. The truth is that I’m looking forward to focusing more on lab research. I have some new projects I’m eager to explore. I’ll miss interacting with students all the time, but that’s easily solvable. They know where to find me.